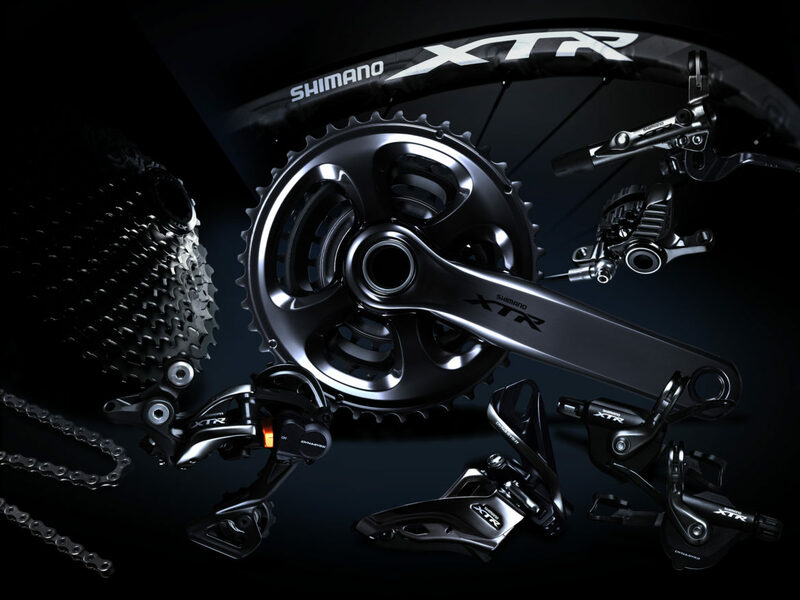 The new XTR drivetrain group from Shimano has run into some production issues due to a fire at their factory in Sakai, Japan almost a year ago. We recently asked the folks at Shimano EU for an update, and this is what they had to share. Many XTR M9100 products are either already in the market or are being shipped to Europe during January, with the exception of certain specifications being shipped later. In particular, production of the XTR M9100 crankset was affected by the fire at our Sakai factory in March 2018. Re-creating our highest level of production became more challenging than we initially anticipated. However, this situation is being resolved and we will be back on track in the coming months. We expect to have the most common XTR cranksets available at bike manufacturers in June 2019 with these products being available in stores shortly afterwards. As a substitute for XTR cranksets not yet available (FC-M9100/9120-1), an alternative non-series 12-speed crankset (FC-MT900) will be available in the most common specifications. Also, as a substitute for the XTR hub is not yet available (FH-M9110), an alternative hub (FH-M9111) will be available sooner, matching the specifications (eg the OLD, the number of spoke holes, and compatible spoke type) of the original model, except without the SCYLENCE function. In short, the cranks and rear hubs are not quite ready. Knowing that most brands have yet to design chainrings that are compatible with the new XTR 12-speed drivetrain, we asked around to see what options are available to get XTR fans out on the trail once most of the other 9100 parts are in stores. 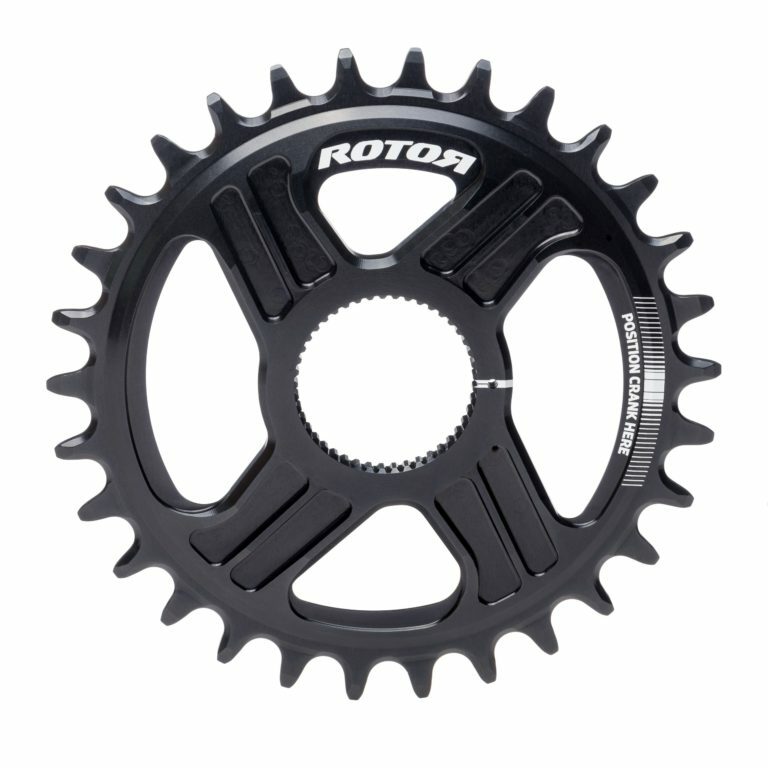 Both Rotor and Absolute Black are making chainrings that pair with the new 12-speed drivetrain. The team at Rotor has tested their rings with the XTR 9100 chain and had the following comment regarding compatibility. No noticeable additional noise: when the chain has no tension (on the stand), it seems like it won’t seat as well on the ring, but under pressure, pedaling, it works well. After a couple of rides, it gives the appearance of settling in even better. So swapping the chainring may get you closer to the complete group you are after, but swapping the chain will void some of the top features of the new drivetrain. Shimano had the following comment on third-party drivetrain component compatibility. The new XTR chain might not fit on some chainrings at all. On others, it might vibrate while pedaling or wear out extremely quickly. If they switch to a different chain, the Hyperglide+ shifting goes away and at that point, it really just isn’t an XTR group anymore. If you want compatible hubs to get your XTR build rolling, DT Swiss has the proper Microspline freehub body to pair with the 10-51 tooth M9100 cassette, and Industry Nine reportedly has one in the works as well. We will keep you posted with any further news regarding the XTR release as it comes in. The BEMBA National Enduro Series is the UK’s premier enduro mountain bike race series and is proudly organised through a collaboration of several race organisers.